​Follow us on Facebook, Pinterest,You Tube & Twitter! Two people express their desire for a permanent, exclusive partnership through the establishment of the marital bond or covenant. Print and complete this form and bring with you to the meeting. Below is a copy of my credentials. 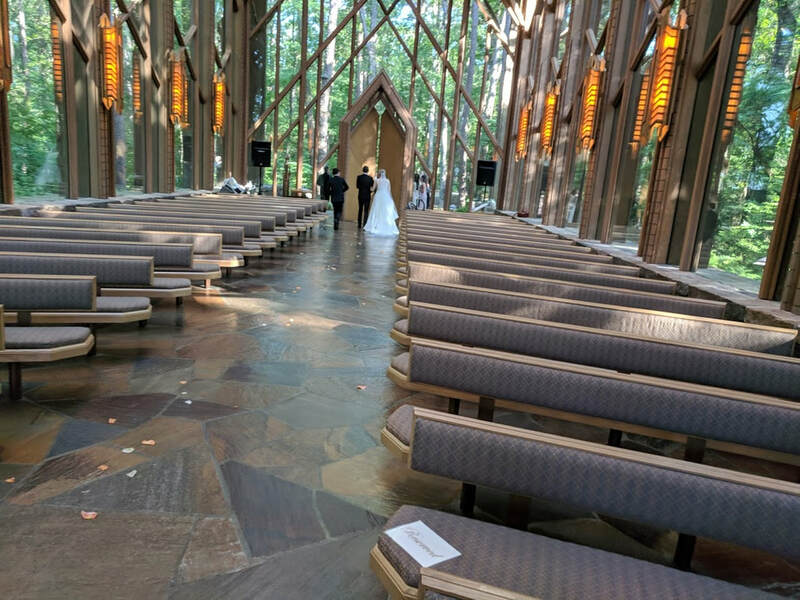 When looking for that unique Catholic wedding venue held indoors or outdoors – you've found a Catholic Priest who will officiate your ceremony! 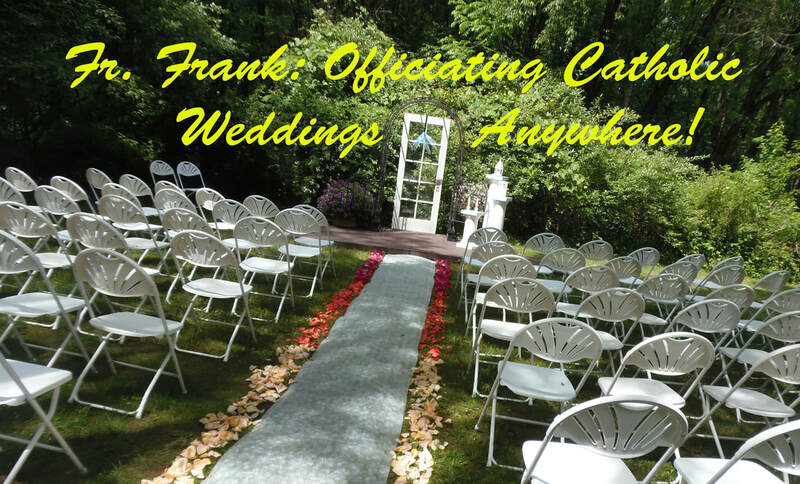 Whether you chose to hold your ceremony in a reception hall, local park, beach or the comforts of your home, Father Frank J. O’Connell will help to create a stress free ceremony of your dreams! the INTAKE form and email to me. We can then set up a personal interview. who will marry us. Being married in the church means a lot to us. What can we do? who belong to a parish, ask them to speak to their priest about your request. annulment process. Our priest has told us that we cannot be married in the Church. for New Life given to all. Unfortunately, for many reasons--some good and some not so good--marriages sometimes fail. and gives you a new chance to journey through life with your beloved. in the name of the Church, which is the People of God. 3. Do either or both of us have to be Catholic? relationship, and want to celebrate their wedding as a sacred and dignified ceremony. move apart and avoid sexual contact for at least six months prior to their scheduled wedding. to begin to live together and share sexual intimacy, your conscience is always your supreme guide. A well-informed conscience has always been the Church’s standard for weighing personal moral issues. nor will I ever demand that you move apart before officiating at your marriage ceremony. legal in the eyes of the state? “destination weddings” to other states. I lack jurisdiction from the Vatican to witness marriages on its behalf. 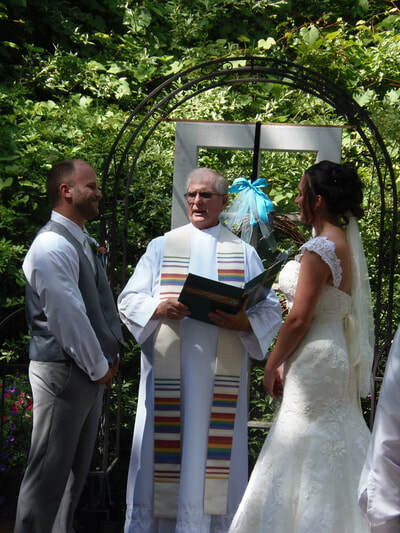 Simply, a “renewal” of your vows with the blessing of the Church within a parish church building. them as sacramental according to its Church law. if it takes place in a service inside the church building. 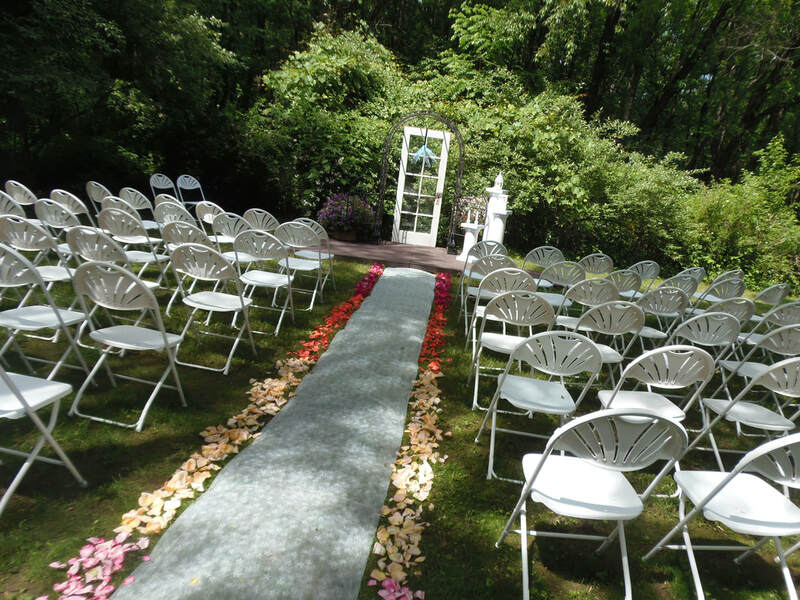 Will you perform an outdoor ceremony? mind during our first meeting. 7. 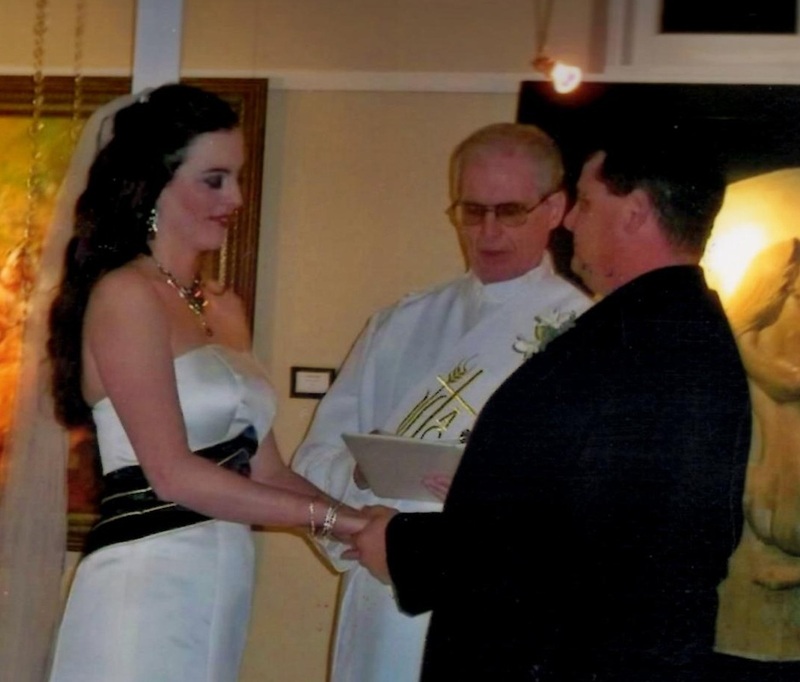 Will you perform ecumenical, interfaith, or non-denominational marriages? 8. How long does the typical ceremony last? The typical ceremony runs 30-60 minutes depending on how you choose to personalize it. and celebration” required by civil law so at maintain the validity of your marriage. such as the lighting of a unity candle, sand ceremony, presentation of roses to parents. You may choose to have your marriage celebrated within the context of a Mass. a reading, music, or giving a blessing or a reflection during the ceremony. 9. Who is responsible for obtaining the marriage license? to the wedding and bring the ORIGINAL on the wedding day. It is my responsibility to complete the marriage license documentation and to obtain appropriate signatures I will then return the signed documents to the municipality in which the ceremony is performed by "certified mail". My fees are up front and transparent at $500 to perform marriage ceremonies. A non-refundable deposit of $200 is required to schedule and book your date and is due at the time of the initial consultation. Rehearsal with additional travel for outside normal coverage area -- additional costs are applied. with me from remote locations and meet infrequently. It's up to you how often we get together. On average, though, we will meet three times before the wedding, not including a rehearsal. so we can make those arrangements should they arise at our initial planning meeting. these as well at our initial meeting (either on the phone, video chat, email, or in person as the case may be). work together to craft a ceremony that reflects your unique relationship and beliefs. 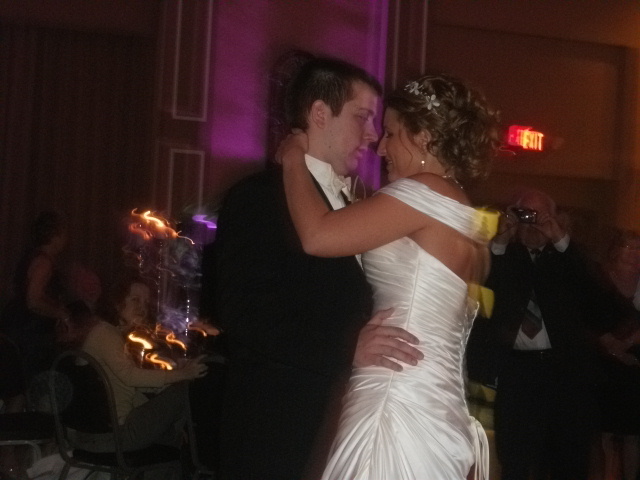 I will use our time together to support and counsel you both as you enter your married life. safe place and talk about the foundations of a life-long friendship and marriage. other than the blessings it bestows on the couples I work with. Christ gave to me at my ordination, and so it is not, nor will it ever be a business. 12. What if this is more than I can afford? above is beyond your means please let me know, we’ll work something out. I will never turn you away because you cannot afford the 'customary' offering, we can work through it together. and that you feel His love in your hearts and in your marriage. 13. When do we pay you? Unless we agree to another arrangement, please make a non-refundable deposit of $200. others away while reserving the date for them. The balance is due one month before your wedding. at the location to walk you both and the wedding party through the ceremony at the rehearsal). 15. 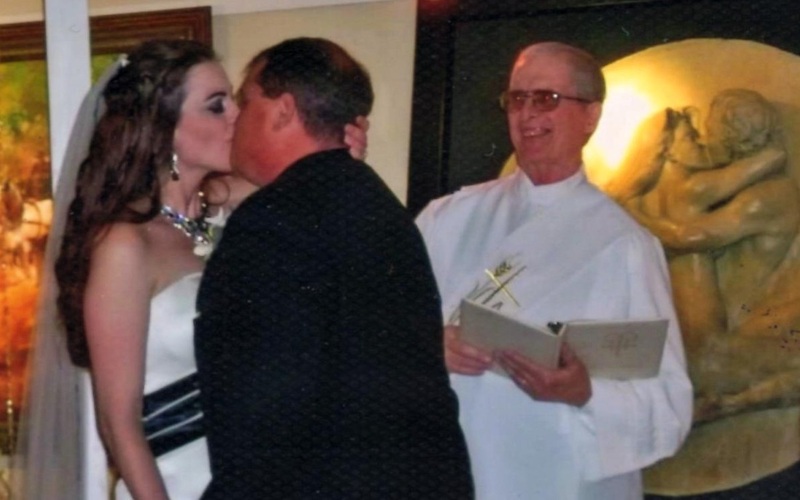 What about the blessing of "Holy Unions"? requirements demanded by other Catholic churches. in the Catholic Faith tradition. 16. Where’s Christ in all of this? has called to His heavenly banquet. than its corporate structure. It's more than the bishops – though we ought to respect them. at recent headlines reminds us. what the priesthood is all about, being a wise and helpful guide on the journey of the soul to God? The Church – welcomes you just as you are. and it welcomes you if you are burdened down with some unspeakable guilt or shame. the times when you felt farthest from Him. We are the American Catholic Church in the United States. Not affiliated with Rome. The ACCUS and its affiliated worldwide jurisdictions are not under the jurisdiction of the Roman Catholic Church and are therefore not subject to the same rules and regulations.